The people I met during my last trip through China and Southeast Asia gave me thousands of memories to be thankful for. Some of my most vivid are from Cambodia. 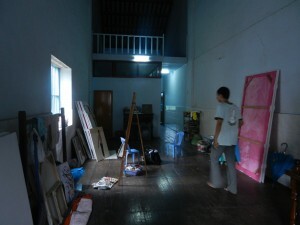 I was exploring the stately old northwestern town of Battambang and discovered a group of local artists called Sammaki. 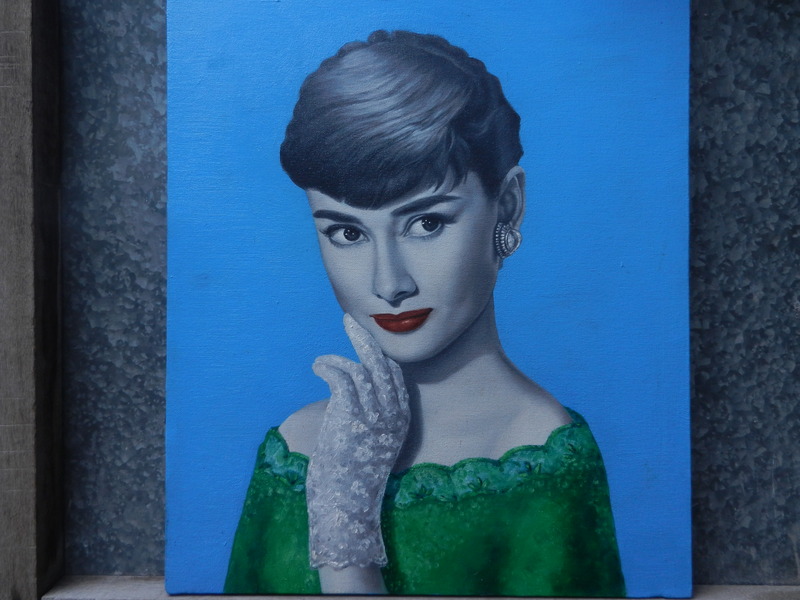 They showed me their work, and I met this painter, Theanly Chou. 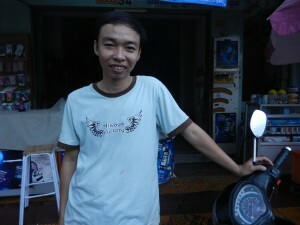 He offered to drive me to his home on his motorbike to show me his canvases. He gave me a view of Cambodia’s current cultural riches which most people don’t know about. Theanly converted most of his 2nd floor into a spiffy studio. He grabbed a couple of chairs and showed me portraits he painted of some of Cambodia’s most honored pop stars from the ’60’s and early ’70’s. Many Cambodians see this as a golden era in their pop culture–it was spirited and growing, and digesting influences from all over the world. Then the Khmer Rouge killed its major stars. Theanly is spreading their legacies. Many Cambodians consider Sinn Sisamouth their greatest pop music artist from that era. Theanly played several recordings of him. Nothing was really original, but Sinn assimilated many styles. Some songs were Latin and others were mid ’60s pop that reminded me of bands from that time that imitated the Beatles in their Fab Four days. He also recorded the early progressive rock band Procol Harum’s A Whiter Shade of Pale. Sinn was also an intellectual. He had studied medicine and spoke several languages. He became a pro musician and singer after many years of study. Theanly captures both sides of him. His potrtait shows a man who’s thoughtful and educated on one hand, and whimsical on the other. Sinn represented Southeast Asia’s ability to blend influences at its finest. I thought Theanly’s picture of Audrey Hepburn captures both her elegance and esprit. She mixed them as well as Angkor Wat’s apsaras do. 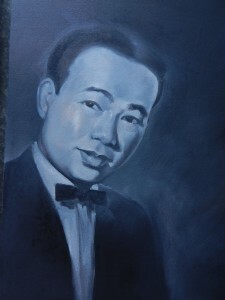 Theanly and I talked for a long time about life and his desire to help Cambodian arts thrive again. He’s off to a good start–blending influences from multiple cultures in ways that mix refinement and exuberance, as the old Khmer monuments do. I’m thankful for the world’s cultural wealth. It allows people all over the globe to bond, past wounds to heal, and new vistast to open. Share our global banquet with full gusto!